There are many ways you can help us maintain and improve Cape Henlopen State Park for all to enjoy. Volunteering for one or more of our many activities is a great way to help. If fixing a bicycle or cleaning up a trail isn't your style, we have need for all types of help including clerical, writing, photographic, organization, leadership and many others. Please note that for insurance purposes, all volunteers must be FOCHSP members. Telling your friends about FOCHSP is truly helpful. Most people have no idea about the important services provided to all Delaware State Parks by the 14 independent and non-profit "friends" groups. 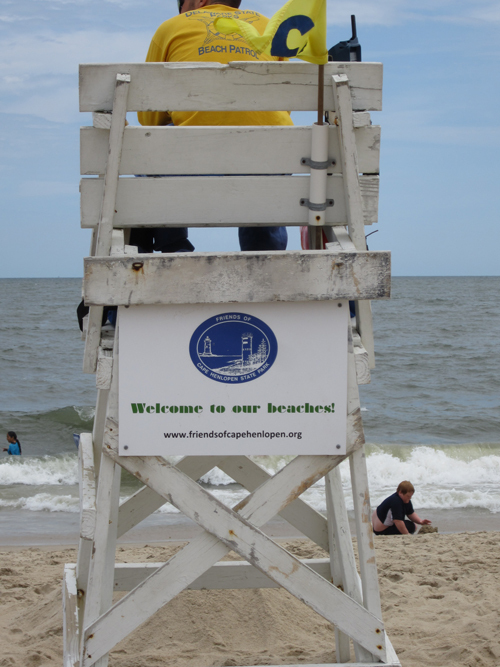 Support of FOCHSP or any of the "friends" organizations is the most direct and meaningful way that individuals, families, groups or businesses can help maintain and improve Delaware State Parks.